Scrolling through photos of a wintry weekend jaunt to the Scottish Highlands, I pause on a photo of myself. My hair is wild from the drizzle and wind; my cheeks flushed from the elements and exertion of scaling the uneven incline, the slippery paths, and leaping gingerly over marshy puddles. I have a Twiglet-y walking stick in one hand – an unexpectedly-useful, borrowed, aid – and characteristically-inappropriate, sodden, mud-caked old trainers on my feet. In the background, fifty shades of grey sky, an optimistic hint of sun winking through, and hills sloping steadily into sea. And on my face, pressing out between ruddy cheeks, is the biggest grin. I look so happy and relaxed in that moment, I hardly recognise myself. Such is the healing power of a hike in the West Highlands, and its changeable elements; switching from mist, to sun to downpour and back again in moments, leaving big, full rainbows in its midst. 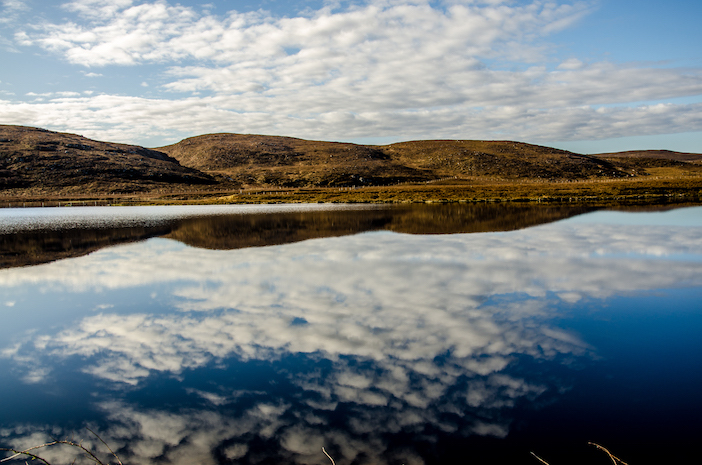 Just after that shot, we reached the top of the hill, greeted by ‘oh, wow’ views of inland lochs, known collectively as ‘Fairy Lochs’, shining like new silver pennies. Down for a closer look, we’re met with the poignant reminder of the tragedy that befell this beauty spot, through the remains of the WWII bomber protruding from the water, and a plaque in honour of the young American soldiers who lost their lives here in a freak accident in 1945, en-route to their homeland, having survived the war. And then it poured down, and we turned and made our way back up the slippery slope, and down the path to the hotel. I was anxious setting off for this trip. Not about the trip itself, just a particularly stressful week that had my stomach in knots and pining to hideaway in bed for the weekend, fueled by copious tea, cheese on toast and Richard Curtis movies. But hibernating would’ve been the worst thing. When it all gets a bit too much, you need distraction; air so fresh your lungs open up to engulf big gulps of it. Rain and cold help – in all its cheesiness, they wake you up and make you feel…oh drat, I’m going to say it: Alive. You need darkness, away from suburban street lamps, and quiet – so you sleep well, and good food too. These are the ingredients that make for one of those weekends away, that you return from feeling like you’ve rested for a week. 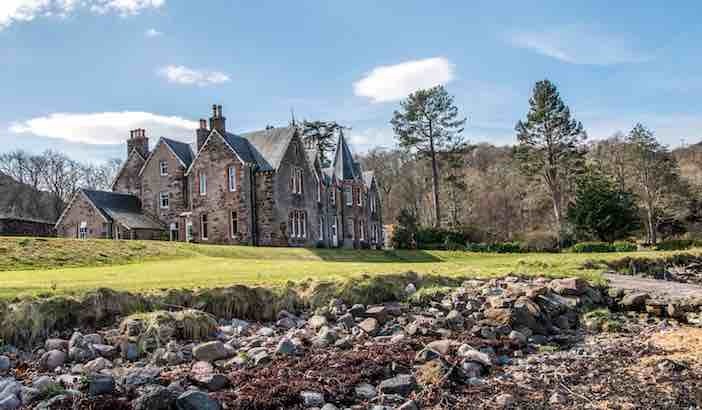 Shieldaig Lodge and the 26,000-acre private estate its set in, where this story takes place, has this in bucket loads. 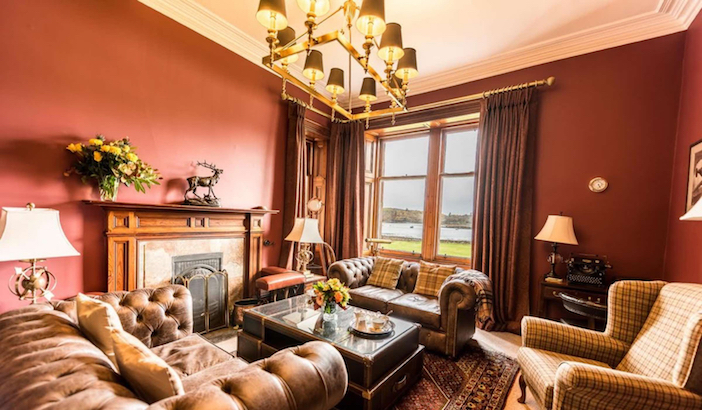 A recently-refurbished Victorian hunting lodge, it’s solid and safe, and exactly what you want to see after an hour-long flight from London and another hour or so drive through the Highlands – even though said journey is peppered with views of lochs, mountains and romantically-placed rail tracks, so good, you’ll stop several times to photograph them. It’s lapped by a green lawn and a secluded bay after which it takes its name, both particularly beautiful at sunset. Through a window, to the right of the front door, you’ll spy an open-fire – the cosy scent from which carries in the air – and a bar, behind which are tightly-packed rows and rows of bottles. 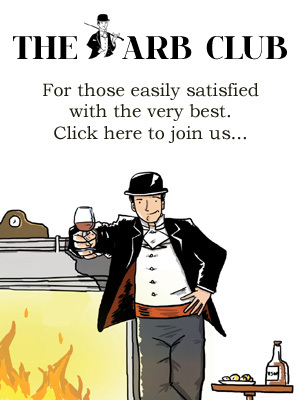 A whiskey selection of over 250, covering every Scottish distillery since the Second World War, every Scottish gin, and almost every award-winning gin from elsewhere. It’s quite the collection. We had a jolly good go at tasting a few too: whiskey-blending one night, followed by a post-dinner tasting flight, accompanying a platter of fine Scottish cheese. A pre-prandial gin-tasting the next – ranging from very local gin Badachro – distilled in a tiny copper still called Delilah in a shed beside the producer’s house, just across the water (in Badachro) – to the more port-like Jenever from the Netherlands. Elsewhere inside Shieldaig Lodge, it’s exactly what you want from a Scottish hideaway. The carpet is tartan, the bedroom key fob is tartan; the cosy armchair in the library, too. It’s not particularly modern, and it wouldn’t suit it to be. 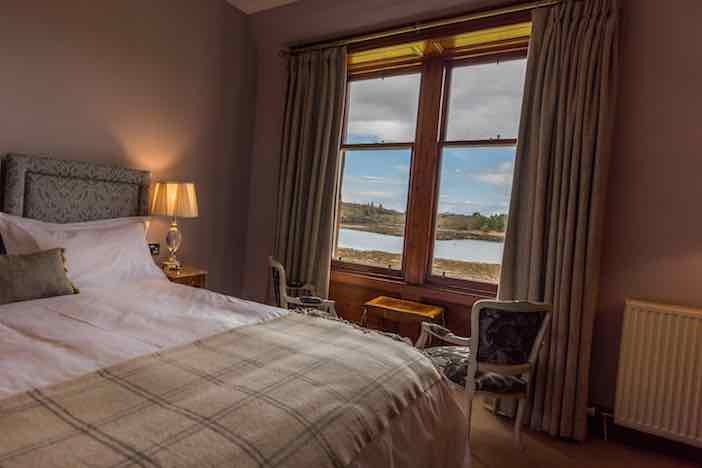 The twelve en-suite bedrooms range from sizeable suite, room 7, with direct views of the loch and a freestanding bath, to smaller rooms such as room 12. Tiny in comparison, but with views to the vegetable garden, more private and homelier; perfect for the solo traveller. If you’re travelling beau in tow, definitely opt for one of the suites. Expect very comfortable beds (pretty high on my priority list) and welcome touches like the jar of homemade shortbread on the tea and coffee tray. The second most important thing, after a comfy bed (or perhaps joint first…), is the food. Shieldaig’s got that nailed too; a mix of fresh fish: creel, langoustines, squat lobster, crab – all netted from the loch out front or very close – and hearty: home-cured duck, Highland red deer, oak-smoked Orkney cheddar. And, it’s excellently-priced – at the time of visit: £39 for three courses on the a la carte; £59 for a seven-course tasting menu. The hotel is open year-round, and lovely it would be in all seasons, too. But, to fully get out and appreciate the gorgeous surroundings, aim for April to October. The activities are in full swing: kayaking, creel, salmon and trout fishing, pony-trekking, deer stalking, archery… Croquet is set up on the lawn, and you’ve a better a chance of getting out (and surviving) a swim. Plus, you’ll enjoy nightly visits from the most adorable Little Owl (that’s both the breed and an accurate description), called Peanut, by the ladies running the falconry next door; a taster of the sessions you can book in. 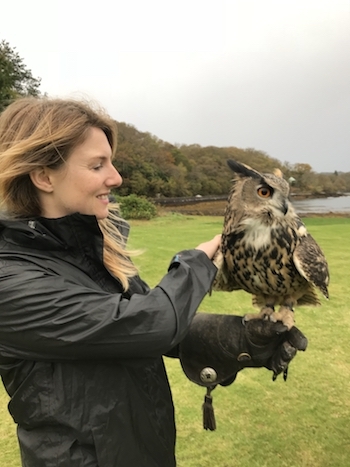 If you’ve ever wondered what it feels like to have a European Eagle Owl – the world’s largest owl – swooping towards you, here’s the place to find out. I can tell you, it’s pretty bloody scary. And then it lands on your arm and it’s much heavier than expected. Inches from your face is the sharp beak that just tore apart the morsel of decapitated chick you were holding as bait. It’s a beauty close-up; its plumage a coat of many earthy colours, but, it’s a bird of prey, a wild animal at heart, and though you reach forward to stroke it, on the encouragement of its handler, you do so while fearing for your eyeballs. Heart-thumping falconry at its best. Book it. If you only do one adventure outdoorsy thing, make it the kayaking. It’s fantastic. The water a glacial still, through which you’ll spot pink sea urchins (ethereal compared to their sinister ebony cousins), and enjoy perfect reflections of the craggy rocks, the static sailing boats and your face as you peer down into it. It’s so clear you’ll want to dunk your head in and drink it (though, that would not be wise; you’d choke on the salt, get an ice-cream headache and, very likely, capsize; a calamitous hat trick). The bobbing heads of grey seals are a further treat; first in front, coyly checking out the visitors to their patch, then when you look over your shoulder, rising a little more confidently staring back with deep, shiny eyes. I expected it to be a battle against the elements, but it was the calmest kayaking I’ve done. More so than that time in the lagoon of that tropical beach, and far better too. In warmer months I’d to return to swim the loch and hike the same route, then doused in a purple haze of heather and bright yellow gorse, making the big hairy Highland cows which graze next to the hotel, look even more beautiful. Everything before and after that photo of me seems so crisp and clear, like I was there yesterday, rather than six months ago. I pine for a return to its restorative, wild ways. Such is the magic of this corner of the Highlands and Shieldaig Lodge: a must for ramblers, adventurers, eaters, whiskey-drinkers, or lazy afternoon in a cosy tartan armchair-seekers. Shieldaig Lodge Hotel, Gairloch, IV21 2AN. Tel: 01445 741333. For more information, visit www.shieldaiglodge.com.